Does the lack of good ventilation and general weight of a Crusaders great helm bother you? 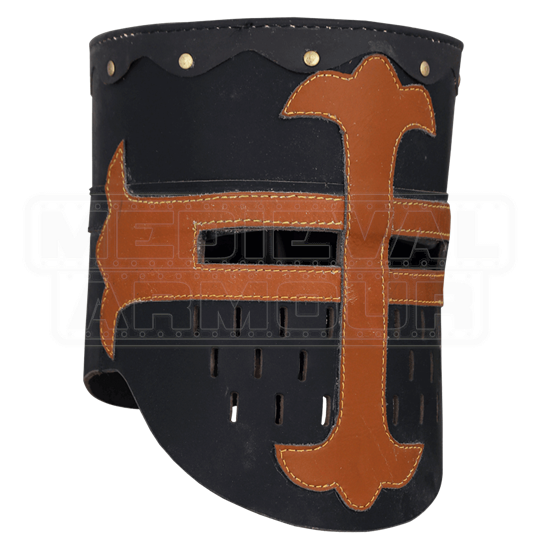 For a lighter alternative, turn instead to this Leather Black Knights Great Helm, which offers the same shape and look, but in leather, instead of steel! This way, you get not only the impressive look of the helm you want, but you also remain comfortable, in lighter leather! 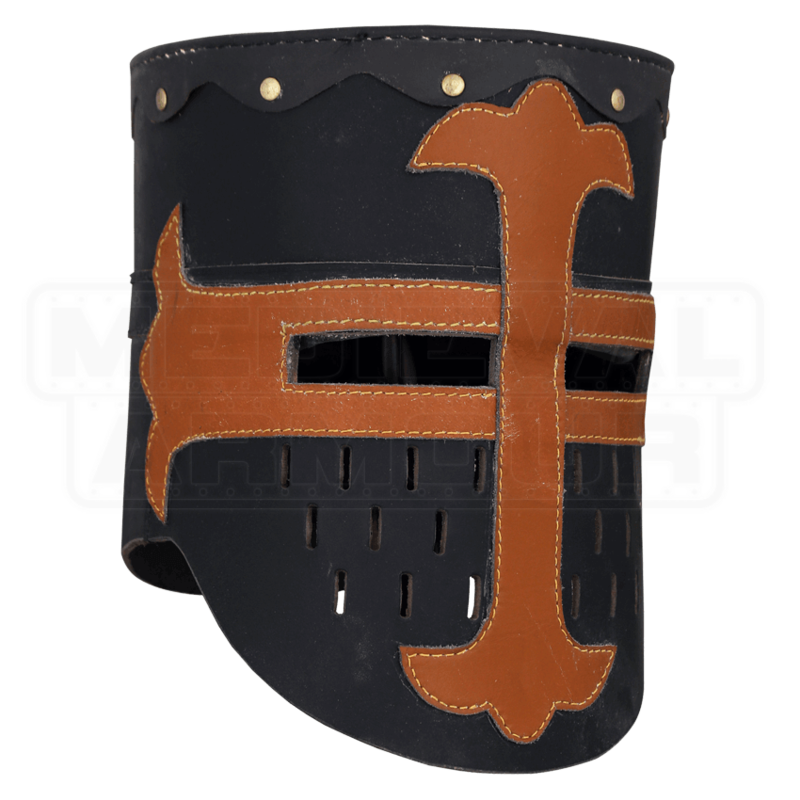 The helmet is made entirely from fine natural leather, which is colored black and brown. The shaping of the helm is nothing short of perfect, creating the cylindrical shape of the great helm perfectly, from the flat round top to the overlapped riveted accents, down even to the longer face-mask with opened ventilation slits! The helm is entirely black leather, while featuring a brown fleur de lis cross accent over the rectangular eyelets. Given the overall light design of this Leather Black Knights Great Helm, it makes for a great costume piece and LARP armor, especially for those who want the outstanding look and style of the great helm, but would rather wear something lighter and more comfortable - which is a boon indeed, for those who plan on wearing their helms for long periods of time!